I’ve been going through photographs from my last trip, trying to think about what I can share that isn’t mundane or trivial. I have a feeling a lot of small stories will pop into my head over the coming months. And what’s the small story that keeps popping into my head over and over again? Not the beauty of Prague’s architecture. Not shopping tips for the Great Market Hall in Budapest. No, it’s about how to take a train from České Budějovice in the Czech Republic to Vienna, Austria. I feel like I should write about this because the stress of a non-English speaking conductor pointing out the window and yelling “AUTOBUS!” is more traumatic than you can image. Especially when you’re going clickity-clackity on a train through the Czech countryside at 80 MPH. What bus?? 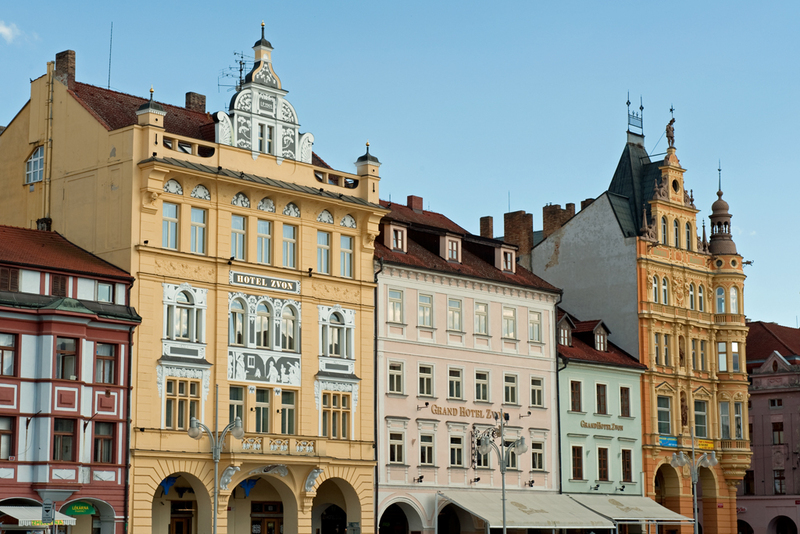 Budějovice or Budvar, as it’s commonly referred to, has one of the prettiest center squares I have seen on my travels. It’s massive in size and has an elaborate water fountain in the center. I’m guessing the reason(s) many people might stop at Budvar on the route from Prague to Vienna is for the same reasons we did: 1) someone in your party wants to see the beautiful square (me); and 2) someone in your party wants to go on a beer tour at the Budweiser Brewery (Husband). We saw the square but never made it to the brewery (we tried, we really did). After 36 hours of snapping all the pictures our memory cards could handle and continually struggling with Pictionary-like sketching for communication, we hit the road once again on the train bound for Vienna. There are sub-stories to this story, but I will stick to my point. Even though the Eurail map indicated there was a direct train from Budvar to Vienna, even though the nice young man at the ticket counter nodded his head and said, “Yah, Wein” when I confirmed which train to take – even then – I wouldn’t call the train from Budvar to Vienna a direct route. If you decide to journey from České Budějovice to Vienna, be prepared. Cross the tracks and jump on your slick, shiny high speed train bound for Vienna. Congratulations. You have crossed the border into Austria. 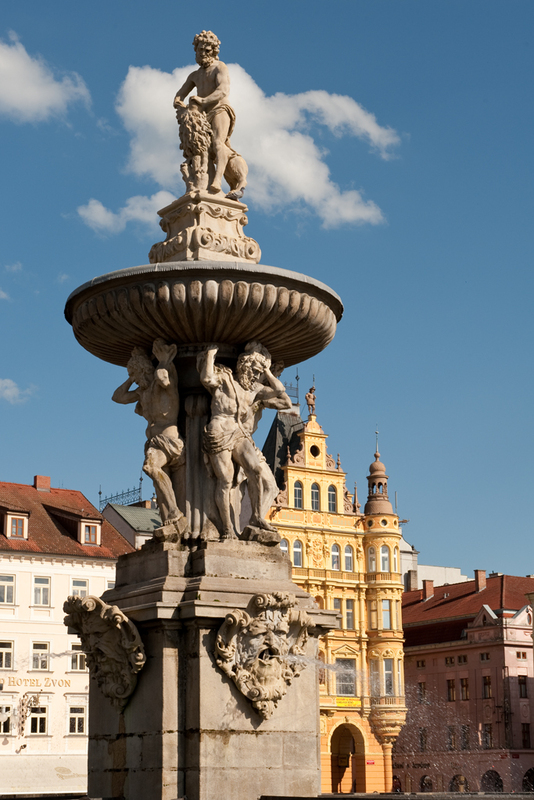 This entry was posted in Travel and tagged Budvar, Czech Republic, Eurail, Prague, Train, Vienna. Bookmark the permalink.